The Neo G Airflow Plus Elbow Support features silicone joint cushions on either side to help protect, support and reduce impact on the elbow joint. Lightweight, breathable and seamless knit fabric provides Multi Zone Compression (MZC) for optimum fit, comfort and durability. The product fits the Left or Right elbow and is Unisex. Helps strains, sprains and instability. 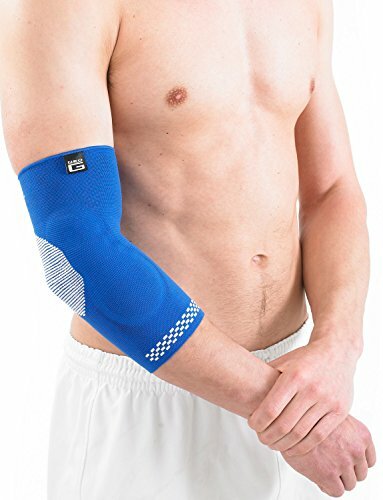 Helps support injured, weak or arthritic elbows. Ideal for sports training and rehabilitation of sporting and occupational injuries whilst also helping reduce the likelihood of re-injury.